White Chinese jade: a carved ring, beads, three carved cylinders (the largest set with small diamonds) white moonstone pavé end-caps are set on the smallest. 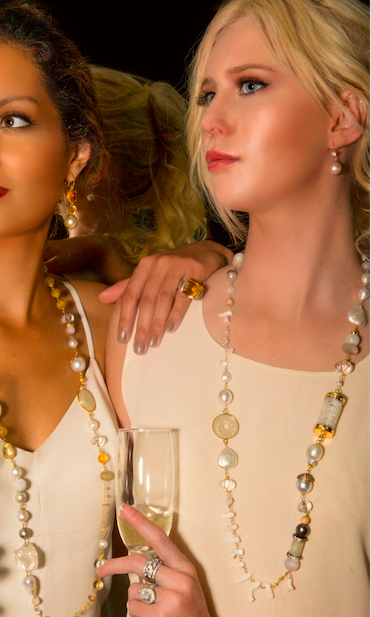 Notable gems are the white South Sea (one has a pavé set pearl cap in moonstone) & grey Tahitian pearls. 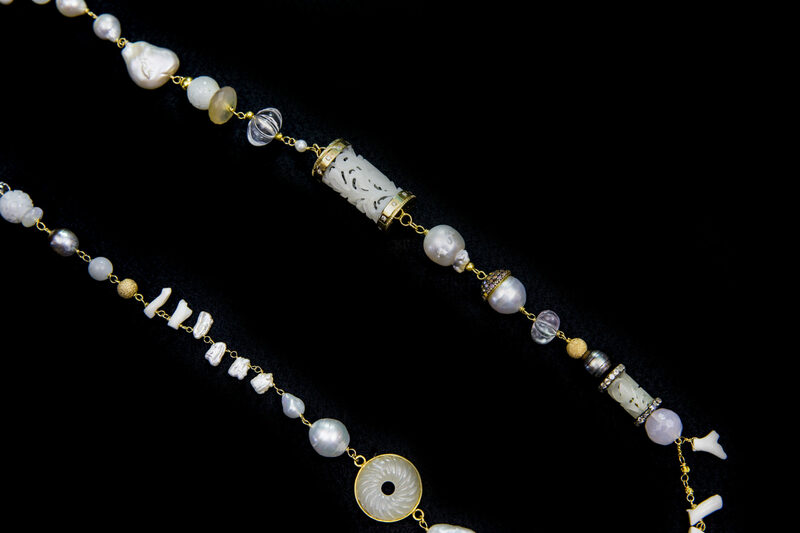 The necklace is wired with white coral twigs and gold beads, keshi pearls, melon-cut quartz, baroque freshwater pearls organically wired with 18 carat yellow gold wire and clasp. 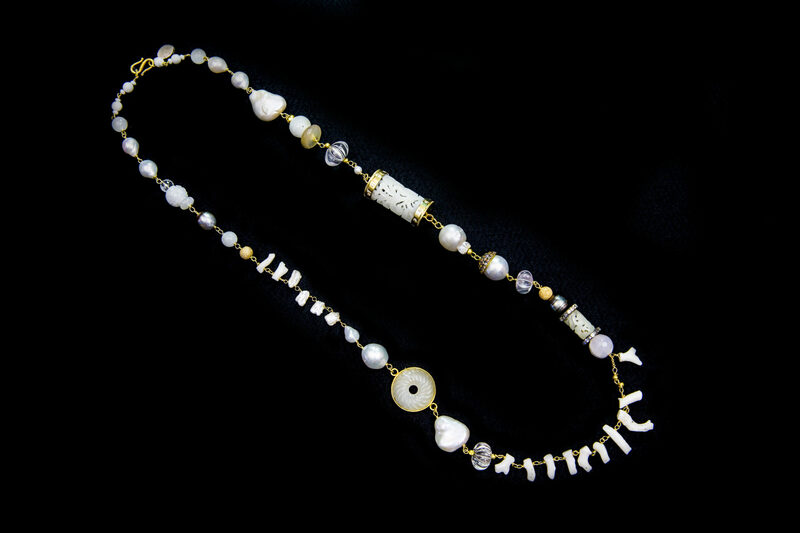 The necklace comes together in an elegant and unique design. 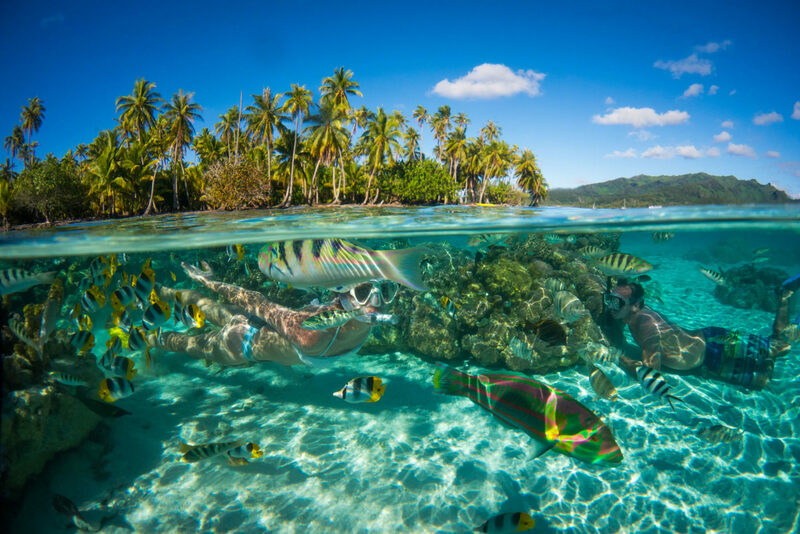 The turquoise waters of the Great Barrier Reef were the inspiration. 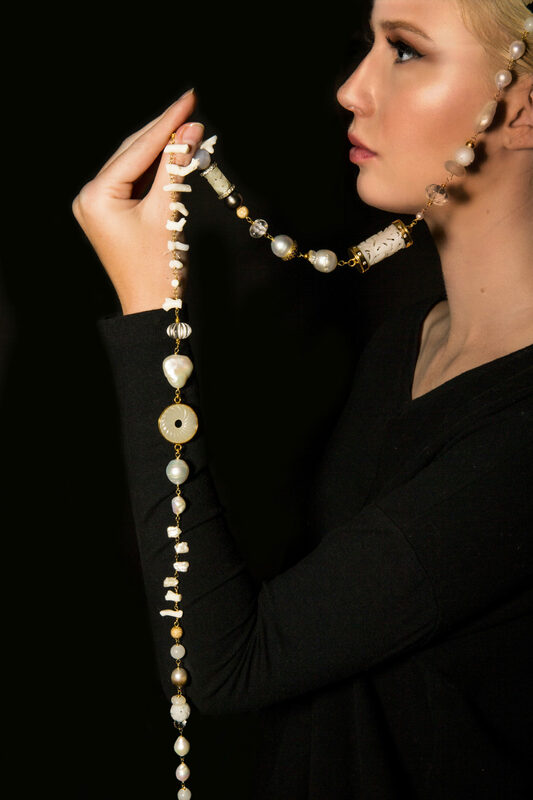 The South Sea pearls refers to their saltwater origins, the white jade to the white sand and the ten small white coral twigs to the reef itself.